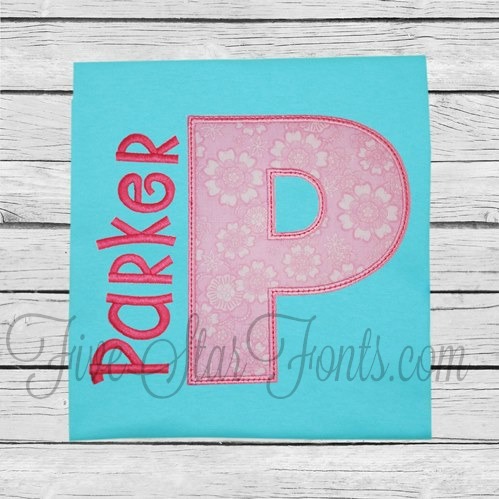 Here is an example of this font stitched on a shirt. 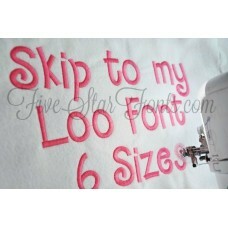 The Super cute Applique font above is our Lunker Applique Font. You can find it in related products tab above. 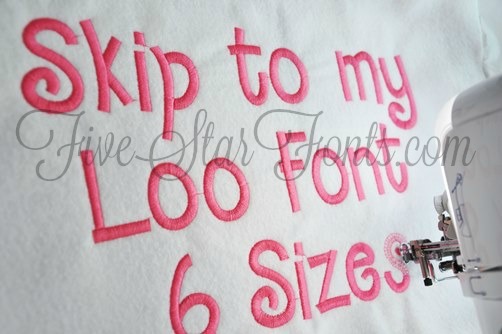 Perfect for customizing kids clothing, Bibs, Burpies, writing a saying to be framed, quilts, etc. 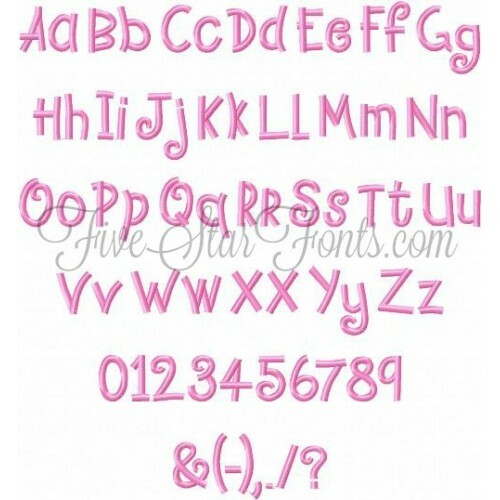 Bold and Thick, so cute and easy to read. 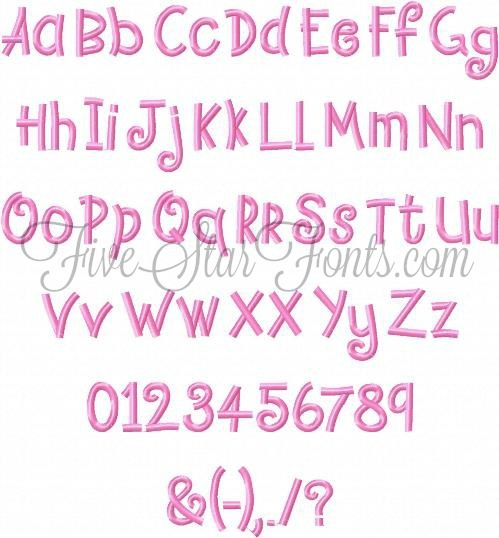 Excellent choice for both boys and girls names.